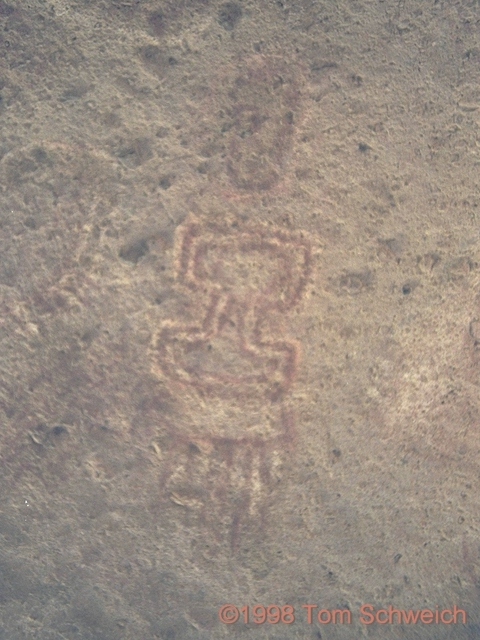 Photo: Pictograph at archeological site in Wild Horse Canyon. Eastern Mojave Vegetation Pictograph at archeological site in Wild Horse Canyon. Pictographs are painted on the rocks with pigments, while petroglyphs are designed pecked into rocks. Wild Horse Canyon Road - Mojave National Preserve: at arch. site. Other photos about Archeology or Pictographs.